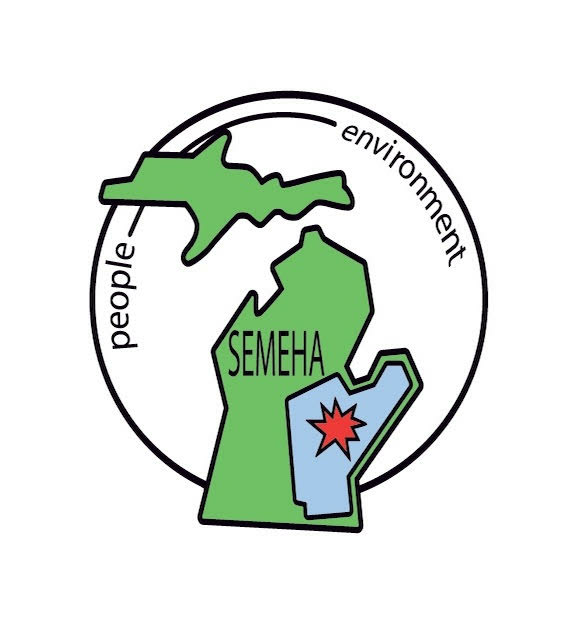 The Michigan Environmental Health Association (MEHA) presents Exceptional Service Awards for those members who have made exceptional contributions to the environmental health field through their work and dedication to the environment. An exceptional contribution could be anything that improves the health and well being of a community, significantly changes the view of environmental health or furthers the environmental health profession. Any eligible MEHA member can submit an award nomination by completing and submitting the Awards Nomination Form. Description and eligibility criteria are listed below. All nominations must be TYPED and submitted to the Awards Committee by December. Nomination forms are valid for 2 years and may be submitted electronically or by mail. Purpose: This is the most prestigious award granted by MEHA. This award is presented to honor the recipient’s exceptional contribution(s) to MEHA and to the Environmental Health Profession over the course of their career. The nominee shall be or have been active in MEHA and shall be a current active or emeritus member of the MEHA. The nominee must have made significant contributions to the field of environmental health and to MEHA over the course of their career. Professional/Curriculum Vitae is required to be included in the submission package. a) Contributions and outstanding service to the practice of environmental health. b) Activities and service which bring meritorious recognition to the environmental health profession. c) Highly beneficial contributions and commitment on behalf of MEHA. d) Professional involvement and contribution to community health. Purpose: This award is presented to recognize outstanding service to MEHA and the Environmental Health Profession within the last three years. The nominee shall be a current member and be active in MEHA providing significant contributions to the benefit of MEHA and the Profession within the past three years. a) Contributions and outstanding service to the practice of environment including positions held within the practice. b) Activities and service which bring meritorious recognition to the profession of environmental health. Includes activities in other Associations (NEHA, IAFP, Public Health). d) Professional involvement and contribution to community health including city, township, county, state, national or international contributions. Purpose: The recipient of the award has been designated by MEHA to receive a special award in recognition of his or her outstanding accomplishment(s) to the environmental health profession within the first five years of employment. a) The nominee must have been employed full time within the scope of the environmental health practice for a period of not more than 60 months cumulative by the award nomination deadline. b) The nominee must be a member of MEHA. c) The nominee for this award should have demonstrated quality work, dedication, innovation and potential leadership abilities. d) Professional/Curriculum Vitae is required to be included in the submission package. Purpose: The recipient of this award has been designated by MEHA to receive a special award in recognition of his or her outstanding accomplishment(s) in environmental health. a) Nominee is within the scope of environmental health practice. b) Nominee must be a member of MEHA. c) Nominee would have achieved an outstanding accomplishment or accomplishments which have greatly benefited environmental health and/or MEHA. Purpose: The recipient of the award has been designated by MEHA to receive a special recognition award in recognition of his/her contributions to environmental health and/or MEHA. The successful candidate receives a one year membership. a) Nominee is outside scope and mainstream of environmental health practice, such as a business or industry. Generally, this award is for a nominee employed outside the nominator’s work place. b) The nominee can an be an individual, group or organization. c) Nominee is not a member of MEHA. d) Nominee is to have made outstanding contribution(s) to environmental health and/or MEHA. e) The successful candidate receives a gratis one year Associate Membership. Emeritus Membership Award – A written request to the Board for emeritus status is required. Purpose: This award is conferred upon the recipient by MEHA for recognition of service to the MEHA, or in the field of environmental health. This award extends life membership to its recipient and encourages them to continue their participation in MEHA. a) Nominee must have been a member in MEHA for 10 years or more. Participation in committee work and regular attendance at the annual conference are examples of active membership. b) Nominee shall be retiring after 20 or more years of service, or on account of age or disability. Refer to Constitution and Bylaws Article III for requirements. Reciprocity may be granted for documented service in other affiliates of NEHA and IAFP. Contact Awards Committee chair. This is a special designation award reserved for a non member who has significantly contributed to the Environmental Health Profession. This contribution could have been provided through a service, legislation that was passed or an act creating greater awareness of Environmental Health and/or the Profession.